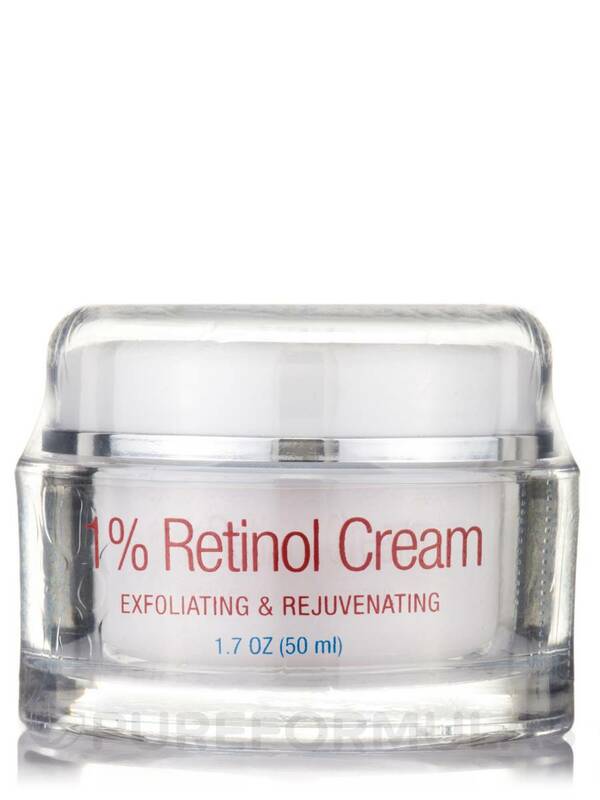 Delivers a high concentration of retinol to moisturize the skin and to diminish the appearance of fine lines‚ wrinkles and skin irregularities. 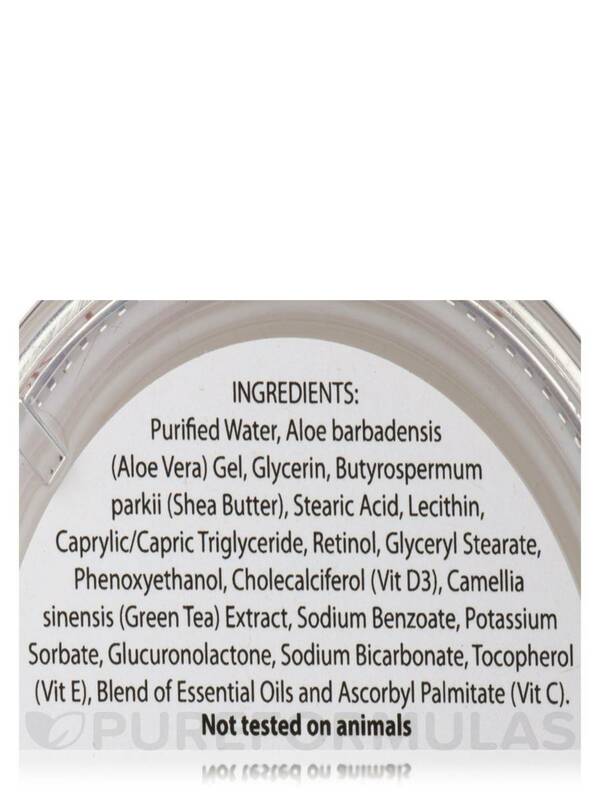 Infused with green tea‚ vitamins C‚ D3 and E‚ to help protect the skin from free radical damage. 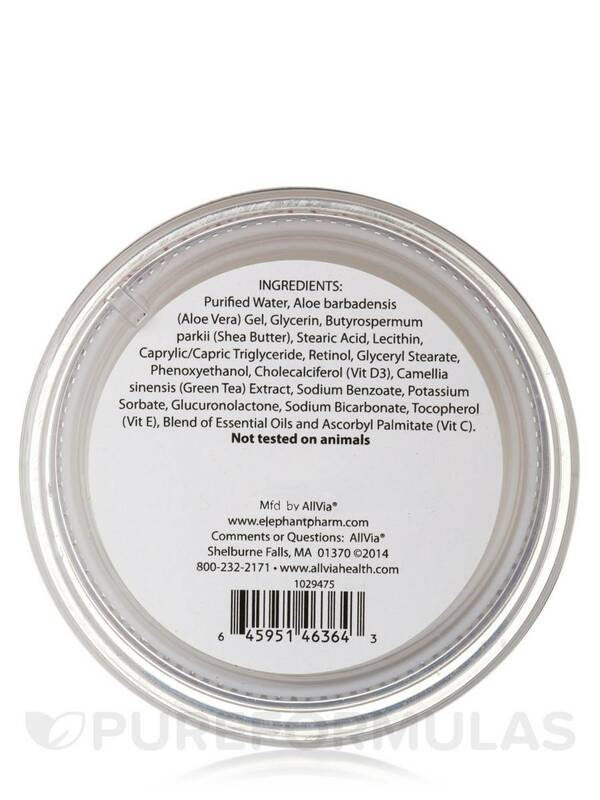 Purified water‚ aloe barbadensis‚ glycerin‚ butyrospermum parkii (shea butter)‚ stearic acid‚ lecithin‚ caprylic/capric triglyceride‚ retinol‚ glyceryl stearate‚ phenoxyethanol‚ cholecalciferol (Vitamin D3)‚ camellia sinensis (green tea) extract‚ sodium benzoate‚ potassium sorbate‚ glucuronolactone‚ sodium bicarbonate‚ tocopherol (Vitamin E)‚ blend of essential oils‚ and ascorbyl palmitate (Vitamin C). 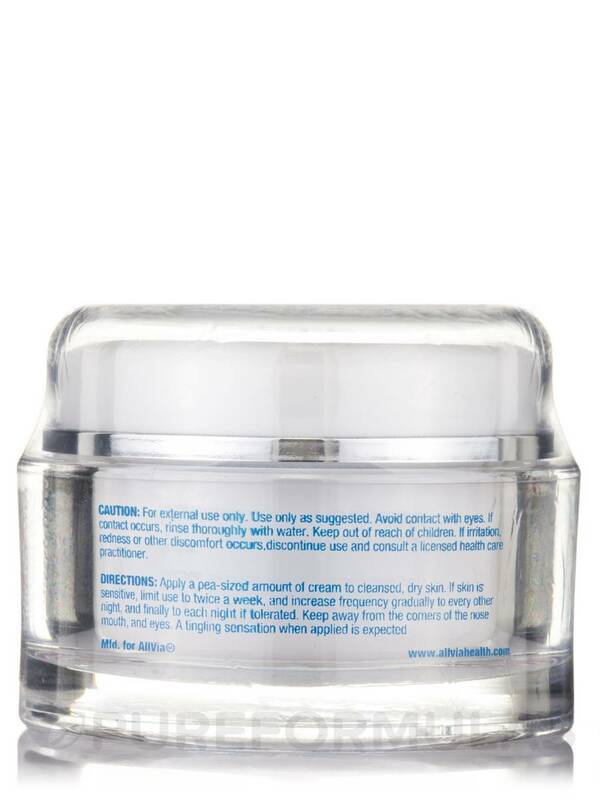 Apply a pea-sized amount of cream to cleansed‚ dry skin. If skin is sensitive‚ limit use to twice a week and increase frequency gradually to every other night and finally to each night if tolerated. Keep away from the corners of the nose‚ mouth‚ and eyes. A tingling sensation when applied is expected. For external use only. Use only as suggested. Avoid contact with eyes. If contact occurs‚ rinse thoroughly with water. Keep out of reach of children. 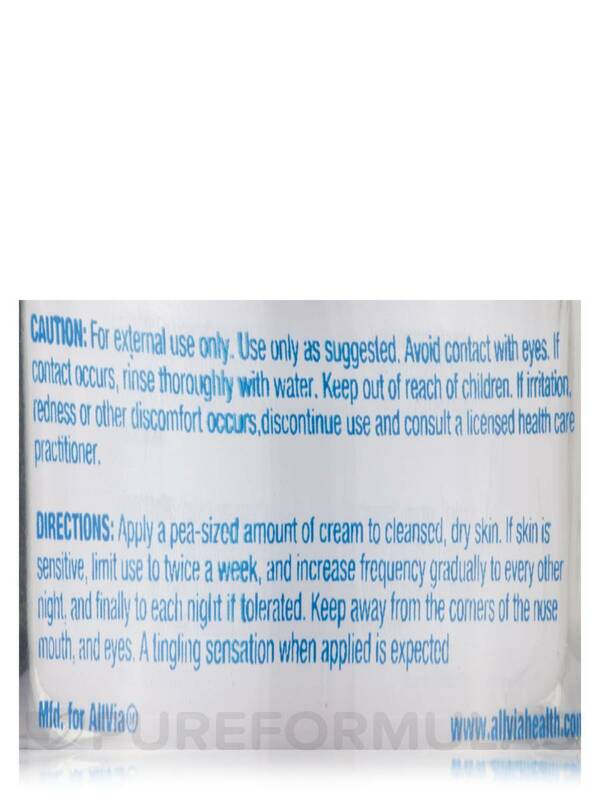 If irritation‚ redness or other discomfort occurs‚ discontinue use and consult a licensed healthcare practitioner. Gave me back 5 years! 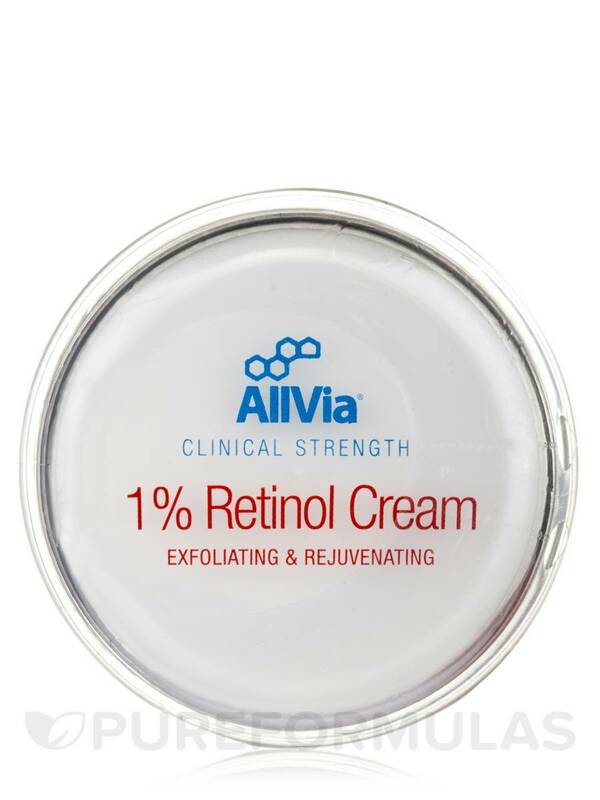 I ordered 1% Retinol Cream by Allvia Integrated product after a friend recommended I try a retinol cream to help with my complaint about dull skin and wrinkles and age spots. After two weeks of use where I alternated nights of use, my daughter asked me if I had Botox done since my face looked years younger! I haven't noticed any burning or peeling but I apply a moisturizer before the retinol and use sunscreen before going out the next day. I really enjoy this and plan to continue with using it! The light weight feel, the price, the effects are great!